I have 3 winners to announce this time. The 2 grand prize winners are kshotz from Ewe & Eye and NGLaLALa from SoNGLaLALa! You will each be receiving a copy of the French Press Slippers pattern and two skeins of Patons Classic Wool. Yay! And, Jessi from switchscribe, you have won a copy of the pattern alone as our runner up. Congratulations, to the 3 winners! Please get a hold of me at yarnonthehouse@gmail.com to claim your prizes. Now, on to this week's giveaway!! I am proud to present a skein of MADELINETOSH Tosh Sock yarn in the colorway Tart. My most adorable, sweet, cute, kind, beautiful, stunning, loving friend, Alison is modeling the yarn for you. Is she not the cutest?! She is in her 32nd week of pregnancy and doesn't she look great?! This is the darling friend that I knit the baby gifts for and threw the baby shower for (which turned out fabulous, by the way). She came over yesterday and I took some baby belly pictures of her on my property. When she was done posing for those, she kindly let me take pictures of her in her cute black dress holding the red yarn. Thank you, Alison! I have not had the opportunity to knit with the Madtosh Sock yarn yet, but I have to say that just holding the yarn is enough for me to love it already! There is just something about Madelinetosh yarns that makes me drool! I love the look of the yarn when knit up, the feel of the yarn when I touch it, and the colors are AMAZING!! This color especially, Tart, is the absolutely most beautiful red I have ever seen. One lucky, lucky, LUCKY winner will receive this 1 skein of Madelintosh Tosh Sock yarn! This week's giveaway is starting a small series of giveaways that will go through the end of March - each week I will be giving away MADELINETOSH yarn. How exciting is that?! Vanessa from The Fiber Fix supplied all the wonderful yarns I will be giving away. If you are ever in search of Madelinetosh yarns, Vanessa has a great selection at her online shop along with other beautiful hand dyed yarns, and offers FREE shipping if you purchase 3 or more skeins. Also, if you do decide to buy yarn from her shop, please be sure to mention that you heard about her store from the YOTH (YarnOnTheHouse) blog in the "how you heard about us section" during checkout. YarnOnTheHouse earns yarn with The Fiber Fix everytime we are mentioned, which ultimately means more yarn for the giveaways!! 1) Have an address in the US to ship the yarn to. I wanted to add a little more to this line and say that if you have a friend or relative that has a US mailing address, that will work. I will send it to them and then they can forward it on to you. See house rules for further details. 2) Post a comment on this blog post by the end of Sunday, 3/14/2010, telling us what you think of Madelinetosh yarns. Have you ever knit with them? What's your favorite colorway? And, if you have never seen, felt, or maybe even heard of Madelinetosh, what do you think of the skein in the pics above? Do you like the color? Let's have fun talking Madelinetosh this week! 3) Please post only one comment to give everyone a fair chance. Again, I'll randomly pick the winner on Sunday and post the results on Monday along with the new giveaway, so be sure to check back. Good luck everyone. I also made a 198 yds of Heaven scarf with a skein in Baltic. I haven't tried the sock yarn yet, but I bet it's just as wonderful to work with as the worsted. I am not lucky enough to have ever worked with Madelintosh yarns, but I have heard wonderful things about them and am dying to try one! The color is beautiful! Even if I don't win, I am definitely going to have to try out some of these yarns in the future. I absolutely love Madelinetosh sock yarn. I had a skein of Baltic and as soon as I casted on, I immediately thought "I could knit with this forever" And it's fabulously soft and knits up beautifully. I haven't knit with any of the other yarn weights, but I imagine I would love them as well. I have not yet knit with Madlinetosh, but have been admiring the rich colors on many others' projects. Just recently I found a lys that does carry it so hopefully I'll cast on with it soon! My LYS just got Madelinetosh last week, so I saw it in person. This color was already gone though. Looks amazing! I have not yet tried Madelintosh yarns. The colors look lovely in every picture I've seen of them, and I really should buy some sometime soon! I have never heard of Madelinetosh yarns but I visited their website and the colors look so yummy. I am learning how to knit socks in a few weeks at my local yarn shop so I would love to win this! I've bought some Madelinetosh Tosh lace for a sweater I'm going to make, but haven't used it yet. I love allllllll the colorways and the one in the picture is absolutely gorgeous. So is your friend! I have never heard of Madelinetosh til today. I am loving the Twilight colorway though. Thanks for yet another awesome giveaway! I haven't used Madelinetosh yarn yet, but I have oggled it in my LYS. I'm in love with the colors and the softness and just about everything about it. I haven't knit with Madelinetosh, yet. I've heard nothing but rave reviews of this yarn and cannot wait to get my hands on some! Congratulations on the shower! I am glad it went wonderfully. I just joined the site last week, but I am enjoying it so much. 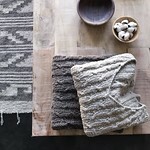 I found you on the French Press Knits blog. She mentioned you were giving away slippers. I got a skein of Madelinetosh sock for Christmas. I haven't knitted it up yet, but it is wonderfully soft and the colors are absolutely beautiful. The skein is called saffron and it is rusty orange. Reds and oranges are my favorite colorways. Love that color! I have a skein of the DK that I haven't yet knit with, but I'd love to work with the sock. I think my favorite color is Cedar. It nearly glows. I've not had the pleasure of knitting with Madelintosh yarns yet, but I've heard such fabulous things about it. I have yet to knit anything with Madelintosh; however, I would love to! That colorway is just beautiful! I've seen beautiful project pics of madtosh yarn on Ravelry, but I've never seen or worked with it, hands on. 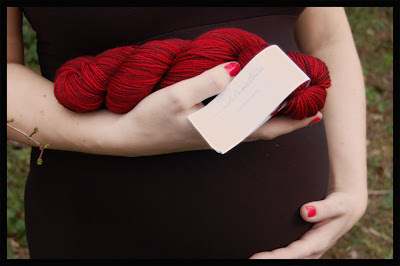 I'd LOVE to be the winner of this gorgeous RED skein! While I've never used Madelinetosh yarn before, I think the vibrant colorways are beautiful. Plus the name, like Malabrigo, is so fun that I want to use it without even having felt it. I am in love with Madelinetosh yarns. I made a sweater with some and have to remember not to wear it everyday. Although my sweater is in my favorite color, blue, I wear a lot of red as it compliments my skin tone. Hope I win this skein. I have the perfect pattern for it. I have never knit with Madelinetosh yarns or even seen them IRL, but I have heard wonderful things about them on Ravelry and would love to try them out! I would say my favorite colorways of the sock yarn would be Ginger and Lettuce, but Tart looks delicious. That type of deep red is my best friend's favorite color. I'm excited to hear that you will have multiple Madelinetosh yarns to give away in March! I haven't heard of it before, but that skein in the giveaway is beautiful and utterly elegant!! I've never knit with Madeline Tosh yarn but that skein is a beautiful color. I really like the pictures with the baby belly and the yarn - get that baby started right with the good yarn. Wow. I've never worked with Madelinetosh before, but I've heard such good things about it (and seen some awfully good photos of projects). That colorway is gorgeous - just the right shade of red. I don't own any Madelintosh. Every time I see it online, it looks Amazing! I love that red color your friend is holding. Maybe one day, I'll get to try it out. I've never used or even seen in person this yarn. What I do know is that every time I see a photo on Rav (or here!) it looks gorgeous. I don't have/ nor have I ever used/ Madelintosh. It looks so amazing. That color is absolutely beautiful! I haven't knit with Madelintosh yet. I first heard about it through an Ysolda Teague pattern, the Snapdragon Tam and Flip-Top Mittens. I looked everywhere for the shade she used and couldn't find it anywhere. Actually, I have yet to seen it at my LYS. I haven't used MadTosh yarns yet, but boy am I itching to! That Tart color is so scrumptious! I haven't used Madelinetosh yet, frankly because I can't afford it. But I would love to give it a try with this hot red yarn! I have never knit with Madelinetosh yarn, because there is not an LYS in my area that sells it :o( I have been hankering form some of this yarn ever since I saw the Tea Leaves Cardigan pattern a few months ago. I LOVE the red colorway in the picture, red happens to be my favorite color! Fabulous color! I have never worked with Madelinetosh yarn. But it certainly would be beautiful no matter what is knit from it! I have heard of this yarn in the blog world, but never used it. Your pictures are lovely, especially Allison's matching nail polish. Did you plain that? I have never had an opportunity to knit with Madelinetosh yarn. I have felt it though. It is divine!! The pictures are really wonderful! I haven't had the opportunity to fondle Madelinetosh yarn yet...the color looks luscious and your model is lovely. I have knit with Mad Tosh Worsted (now DK) and I loved it! I have used the colorway Bark to knit my DH a hat. Have not tried the sock. The Tart colorway is amazing! I have to admit that I have never heard of this yarn, but reading through all the comments here so far, I can only assume (yes, I know the rules about assuming!) that it is amazing yarn to work with. The color you are giving away is absolutely gorgeous! It puts me in mind of summer days with big, fat raspberries. I can picture several sock patterns this would work with, as well as a few other items - some fingerless mitts, perhaps? I've patted Madeline Tosh sock yarn before and it's lovely stuff, but only just ordered some for myself - I'm getting the Moss colorway of Glazed Sock. Preeetty! I think the Tart shade of your giveaway may be even prettier, though. I've never tried Madelinetosh yarn before, but it looks awesome! Actually, I even know what pattern I would knit with it: the Vampire Boyfriend socks from Knitty. I've never worked with Madelinetosh yarns, but it seems everywhere I turn in the knitting world, people are talking about them! That skein of red is just gorgeous. I've never worked with Madelintosh. My LYS is now carrying it, I just have to find the right project for such a lovely yarn. I love all of the colors. OMG! it's so pretty! I love reds, and I've never knitted a pair of socks, so maybe this would "kick me in the walkin' away end" and make me learn to knit socks! I have never used or heard of this yarn, but it looks absolutely divine, and I'm off to go look it up! Thank you for exposing me to yet another yarn to obsess over! I've heard it mentioned alot, but haven't seen it in my LYS before, nor worked with it. I haven't tried any of the Madelintosh yarns, yet. I've fondled them in yarn stores though! I love that Tart colorway, such a rich red. I bet it would make a lovely Ishbel shawl. I am a stranger to Madalintosh yarn but would love to try it. I'm also new to your blog page.I'm impressed and will return. Your beautiful friend gets my best wishes for a healthy, happy baby. I have heard of Madelinetosh before but have not been lucky enough to actually work with it. The color that your friend is holding is absolutely stunning! I've never knit with Madelintosh yarns, but I think the red colorway is absolutely gorgeous. It's so rich and will definitely make a statement! I've never had the opportunity to knit with this yarn, but I would love to....I hope I win! I just recently bought a couple of skeins of MadelineTosh sock the other week. I cast on for a pair of socks, but I've only finished the cuff. I love it! It's so squishy and yummy. Oh, how lovely! I'd love to try it in Tart. Madelinetosh yarns are luminous -- they just glow. I've used the sock for a Baktus, in turquoise, as well as the silk/wool blend for a scarf. The only downside is that the dye lots tend to be VERY different. I've never used (or felt) Madelinetosh yarn but I absolutely LOVE this color and would love to have a pair of rich red socks to poke out of my neutral wardrobe! I've never seen, felt or smelled ;) any Madelinetosh yarn. I think the skein above is a very beautiful color. I would love to start a new pair of socks soon - this would be lovely to work with. Best wishes to your friend and baby for a safe and beautiful birth! I'm a new reader - thank you so much, what an awesome idea! I've never knit with any Madelinetosh before, and it seems like I am seeing it everywhere lately. The colors especially are amazing - they're so saturated and rich. I would love to win this yarn. I love Madeline Tosh colors, the Tart is especially wonderful. I have never knit with MT but am planning a sweater with the worsted weight, I am not sure what color to choose. I've never knitted with or even felt Madelintosh yarns. The picture you took of this red skein is beautiful though. It looks so nice, and I love a picture of a beautiful pregnant lady! *fingers crossed! * Thanks for the chance to win! i've never worked with it before, but i have to say i love the colorway in the pic (esp. against the baby).........that is one of my favorite colors!!! I have never knit with Madelintosh yarn but have heard great things about it. The luscious red color in the photo really sells me on it. Just cause I happen to think red is the only color and others just sort of "are there!" I have never heard of this yarn, but I love the color! Would love to win some. Thanks for the opportunity Ve. I've never seen Madelinetosh yarn in person but am somewhat obsessed with all of them. they are so beautiful! I don't have a favorite colorway, but this red could very well be! I haven't gotten my hands on any Madelinetosh yet, but this looks beautiful (and would be perfect as I'm on a sock kick - no pun intended). Oooh, I've never had the pleasure of seeing or touching the Madelinetosh yarns, but I've been longing over them via my computer screen. I am also quickly becoming a sock addict, so more sock yarn would be great! I love the pic, especially the whole red and black. I have been hoping that one of the lys would get some madelinetosh in stock so i could see AND feel it. Needless to say, I have yet to make anything with it. I have been browsing all of the wonderful colors online and the red is truly beautiful. I have not yet knit with Madelintosh yarns,but I've been eyeing them much lately. Plus, it just sounds like something yummy to eat!! I love Madelinetosh! I have a few skeins in my stash and am jealously hording them... I dream of knitting a sweater out of Tosh DK. I have heard about Madelinetosh but haven't knit with it ... yet :). But I ABSOLUTELY LOVE the color!!! IT is my favorite color and now I will have dreams all week about what I could knit with it! What a beautiful colorway! I just "met" Madelinetosh yarns for the first time this past weekend while on a yarn tour of NYC. Lovely yarns. Thanks for the opportunity to knit up some gorgeous red socks with this yummy yarn! I've not had the privilege of working with Madelinetosh yarn yet, but that red looks scrumptious! I have not knit anything with her yarn yet. But have seen a lot lately on line. Beautiful colord! I just purchased some madelinetosh sock in terra, which is a gorgeous red-orange. I am trying to decide what to make! It is so fabulous I want to use it on something spectacular. I have never had the pleasure of knitting with Madelinetosh - but, I would love to. I didn't even know they existed until you mentioned them here. I haven't seen or knit with Madelinetosh yarn but it's just gorgeous in the photos you took! I would love to give it a try! i have not heard of this line but that colorway is scrumptious looking! And modeled in front of such a cute baby bump! Yay! I hope this will be my first MadTosh. Thank you for the giveaway. I haven't worked with the Madelintosh yarns yet. That is really one gorgeous red, though. I've been craving reds recently and this would be so satisfying to knit with. I have heard of Madelinetosh yarns, but have yet to meet a skein in person! Not one of those yarns often seen in Southwest Missouri. The pictures are very pretty - I used to be a labor and delivery nurse, so I hope everything goes well for Alison! Crossing my fingers for a chance to actually meet my first skein of Madelinetosh! I don't have a LYS anywhere near me so I've never had a chance to touch it, but I've heard wonderful things about it on Ravelry. I love the color in your picture, it looks so saturated! I had never seen it before this, but I went over to The Fiber Fix and looked. Wow! I love all the colors! The red you have here is just gorgeous, and I'm not even much of a red person usually. I thought I discovered Madelintosh on ETSY but then I found out every knitter who knits socks has heard of her! I would love to knit with some of her yarn. I love deep purples and turquoise, aqua and green, pink and orange, brown and orange and gold. Maybe not all in the same skein, though! Wow! I am digging the deep, saturated colors. I would love to knit with some Madelintosh yarn! I am on a self-proclaimed sock yarn diet this year and am knitting from stash only. Although I have alot of yarn, I don't have any Madelinetosh. From everything I've heard, would love the chance to knit up a pair of socks to try it out. I've not yet had the opportunity to knit with the Madelinetosh Yarns but have heard from others that they are wonderful. While blue in any shade has always been my favorite color, lately I find myself knitting with reds, pinks, and purples. I have not yet knit with Madlinetosh. But would love to try it out!! Love the deep deep colors!! I have never heard of Madelinetosh Yarn until you mentioned it this week. I will be sure to check it out though the next time I knit a pair of socks!!! I've heard of Madelinetosh yarn, but never had the pleasure of knitting with it. And I must say, that is a very vivid, beautiful red! This is a first for me to hear about and see Madelintosh yarn. I love to knit bold and bright colors for my feet. You are taking some wonderful photos. That red yarn is beautiful against her black dress. It really pops out at you. It is such a pretty shade of red. Wow, that red is beautiful. I've never knit with Madelinetosh, but I've only ever heard good things about it. Some day. I've never heard of the yarn, but it looks absolutely gorgeous! I'm going to have to see if I can order some of that sometime. The depth of the color is incredible. I've never heard of Madelinetosh, but I've only been knitting for a little over 18 mo. I do love the rich saturated color that it is pictured in though. I've loved MadelineTosh from afar, but never used any myself. I did buy some for a friend (DK), but I wanted sock yarn!! I have never knit with or owned Madeline Tosh yarn. I've heard great things about them and have always wanted to try it. This colorway is a favorite color of mine. The color is so saturated (which I love)! I've never knit with Madelinetosh, but I love the look of Tart and Dahlia. The semi-solid tones are really appealing. I haven't knit with it yet - but received Madelinetosh sock in the Woolgirl Wizard of Oz sock club, the Glinda the Goodwitch package. It is lovely to hold and sqish and I hope to make the socks up soon! i have only petted a friend's madelinetosh but i was in love! it's sooo soft and lovely. what a gorgeous deep red tart is. love it. I have not had the chance to knit with this yarn--haven't even seen it in person, so it would be fun to have a go at it in that wonderful colour. I haven't had the chance to use Madelinetosh sock yarn yet, but I'm excited to try it someday. I have heard wonderful things about the squishiness of the yarn, as well as the intensely saturated colors. I have never used and MadTosh yarn, but there is a delicious skein of DK in Nikko Blue waiting for the right pattern. I'm not usually overly fond of reds, but Tart is an absolutely gorgeous colorway. I have never worked with Madelintosh yarns but I have heard great things about it! I love the rich color! Oh my gosh! Thank you so much!! I'm VERY excited to try the French press slippers!! What a gorgeous red! I've never worked with Madtosh, but often admire its color saturation and good color sense. I saw Madelinetosh for the first time at Stitches West a few weeks ago and loved the feel but didn't end up picking up the cream/olive colorway I was lusting after. I'd like to use this for a shawl since it felt so soft! I have only oohed and ahhed over Madeline Tosh yarn in my LYS, but it is so wonderful. Regardless of free yarn, I should get some and do a project soon! Hmm I've never heard of Madelintosh yarns. Are they widespread in yarn stores? But anyway, I love the color and would love to become acquainted with the company! Oh, I have always wanted to try Madeline Tosh yarns. I can't get them locally, but am so happy to know about the mail-order store you named in your site. I am off to go bookmark it now! Felt the yarn at Stitches West and just love the squooshyness of it! I. Love. Madtosh yarns. My alltime fave colorway is Mirth, a limited edition colorway from late 2009. Love, love, love it. It's a wonderful yarn to knit with - I've made a textured shawl with it. Tart is my second fave but I can never seem to get any, as it doesn't stay stocked very long. So, this is an awesome opportunity. Thank you so much. Wow! Absolutly fabulous color! Red is my 2nd favorite color (green being my first). I must say that if I saw this colorway at my local LYS, I would have to purchase it. What a beautiful pair of socks it will make someone. I have never used Madelinetosh, however I have browsed at it a couple of times at one of my LYS. Your particular hank reminds me of deep red lipstick. Hoping to try the yarn soon. Maybe some of the comments will sway me to try the yarn soon. I have never knit with Madelinetosh yarns, but I have decided to try knitting some beautiful socks and this would be a perfect first skein. I love this colorway- red is so expressive and this one is just bursting with energy! The muted, darker tones mixed with the beautiful bright cherry colors are a perfect mix! The last 4 things I've made have been with madelinetosh. It's a tie for favorite colorway between Pop rocks and Home. Love both of them but they are so different. I haven't used the yarn, but it looks amazing. Wow! I love that color! I'm stuck with what I find at my LYS, and while their selection is great, I think there are other things out there that I would love to try and I hope that your blog will help me find them!!! There is only one LYS (that I know of) that sells Madelintosh yarns and it's not one that I get to visit regularly, so have only seen their yarns up close and personal once and have never knit with any of them yet. The colors, though, are BEAUTIFUL and I hope to try them out one day soon. I knit up a pair of fetchings in Tosh Worsted. The yarn was just so so lovely. It makes you constantly think 'Wow this is wool?!?" The colors are so amazing. I just purchased a skein of this butter yellow colorway and it is like sunshine in my yarn basket. I have not yet had the pleasure of knitting with Madelinetosh yarn - but I drool over it when I find it and just simply haven't bought any yet. Furthermore, I have yet to knit a pair of socks! I hear once I try them, I'll want to only wear handmade! Red in general is a favorite, and love the subtle variation in the yarn pictured here. Great color! Love how pure the red is. Wow. I have never knitted with Madelintosh yarn before. The skein in your picture looks STUNNING though and i already have a sock pattern in mind for it...i do LOVE red. Although I have read about Madelinetosh, I have never used it. Other than doing an internet search for it, I am not sure where I can even get it. From the pictures, I love the bold colors and how they appear to be slightly variegated. Is the yarn soft? Does it pill easily? Splitty? What a good idea! I haven't used Madelinetosh yarn yet, but would love to. I love that color. It looks so deliciously red. I have never knit with Madelinetosh but would love to. My sister-in law is teaching me to knit and told me about your fantastic giveaway! Thanks for this. I have wanted to get some Madelinetosh to make 198 yards of heaven and red is my favorite color. This would be a perfect prize for me. Your prego friend is so cute! I have some Madeleine Tosh yarn that I have been hoarding! :) I bought it because her colorways are to die for. I have yet to get my hands on some Madelinetosh yarn, although it looks exquisite! I've just recently took up the courage to make socks this year, and this skein would be lovely! I've never tired Madelinetosh yarns but I've heard wonderful things about them! I LOVE that red. I can't believe I missed you last week! But here you are with MadTosh! I have purchased some from Vanessa, but haven't knit with the DK yet...but I have with the merino...it was really lovely! I have some DK that I bought from Vanessa and have projects in mind, bu I'm kind of behind on my queue...well not kind of *sigh* I'm way behind! So far, I just stare at the DK and marvel at the beautiful color! I keep missing the Tart and that seems like a very popular one! I'm hoping someday to get my hands on that and the Seaglass, I think they are both gorgeous! Speaking of gorgeous, your friend looks great! I know she will enjoy the vest and sweater! Who wouldn't? take care! As a side note - that is one beautiful pregnant lady! I have never had the opportunity to knit using Madelinetosh yarn, but I have been lusting after their vivid rich colors for a few months now. The red skein that you have looks like the perfect shade of red! Not too orange, not "wine-y" just an awesome lush red. I have also been enjoying seeing the Tea Leaves Cardigan that people have been making with all the different Madelinetosh yarns. Gorgeous! I have never had the opportunity to knit with Madelinetosh yarn. I have seen it a lot on Ravelry. Knitting socks is my favorite and I love the merlot like color. I would love to knit a pair of socks with this yarn! What a fantastic, DELICIOUS color. It makes me crave fall and apples..... it reminds me of apple-flavored runts and apple picking and apple tarts... mmmm! Never tried it, but love the colorway. I have only recently discovered the pleasure of knitting so I haven't had an opportunity to knit with Madelintosh yarns yet. I am a major sock nut, which is why I started knitting, and love testing out new colors and textures. The color is so vibrant and rich and I can feel it calling to me to cast on. I think I will have to purchase some in the future. Have heard great things about Madelinetosh, but haven't gotten to try it yet. The pictures you posted of the yarn with your friend are fabulous! Great contrast between the red of the yarn and the black of the dress... very "twilight"-y.
I have never had the chance to knit with madelintosh, but I keep eyeballing it, someday,right? Thanks again for a great giveaway! I love Madelinetosh yarns! 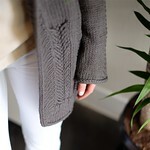 I recently knit a Tea Leaves Cardigan out of the tosh merino and loved every moment of it! I loved it so much in fact that I designed a shawl "Cosette" using tosh merino and madelinetosh eyre. Both are so heavenly! I would have to say that my favorite all time colorway is Olivia. Its truly stunning! Thanks Fiber Fix for the giveaway! I love how it photographs. It looks so lush and cozy. I would love to work with it. Omigosh I have been wanting to try the Madelinetosh yarn any variety any flavor. I have not worked with it yet but saw the Cosette Wrap by Never Not Knitting and loved the colorways she used. Ii will be commenting every week in March you can bet just to have a chance to win some of that yarn. I have not had the opportunity to knit with Madelinetosh tosh sock yarn. I love the bright color! I'm a new-ish sock knitter knitting her way through cookie a's Sock Innovation book. That yarn would make a beautiful pair of socks! Unfortunately, I haven't tried Madelintosh yarns. It is beautiful yarn and after seeing the gorgous colorways, I'm definately putting it on my wish list! Thanks for such a fun and easy giveaway! I haven't had a chance to knit with Madelintosh yarns yet, but that red color is so pretty! I would love to win it! Beautiful color! Have not tried Madelintosh before but I'm going to go online to check out their colorways. Oops. forgot to leave my info. thanks for the giveaway opportunity. My LYSs don't carry Madelintosh so I've never been lucky enough to see it, but I've heard wonderful things about it on the knitting blogs I read. I'm a relatively new knitter and haven't yet tried knitting socks, but I've got a pattern I'm dying to try out, and that lovely red would be perfect! I love Madelintosh's color variety and brightness. I love bright colors. I have not, however, encountered any of this yarn in person. I've never worked w/Madelintosh yarns. I love deep, rich colors that you sink into & the red is gorgeous! I'm one of those people who thinks yarn can be "delicious" looking, and this fits the bill. What a beautiful color! My LYS was open for the first time last night, and in my excitement I didn't look through all of the yarns. I've been wanting some sock yarn for various projects, and that color is DE-licious! I haven't worked with this yarn either. You are great PR for yarn stores/manufacturers. Love the deep, saturated colors. Fantastic. Love the Tart color. Also like the sock color Tern as a neutral to blend with other dark and delicious colors. I've touched soft and richly colored MadTosh yarns, but don't (yet) own any. Would love to knit socks with Tart -- the color alone would keep feet warm! Wow!! How beautiful (both the model and the yarn!!) I have never had a chance to knit with Madelinetosh, but I'd love to!!! Thank you so much for these wonderful giveaways, and for opening it up to those of us who don't live in the US...but who have family who will send us anything we win!! You rock!!! O My! That Skein! That Color! It speaks to me! I've not had the pleasure (yet) to work with Madelinetosh but am eager to! In addition to her Sock I am also very interested in the newer Vintage. I am also coveting the newly released pattern Creature Comforts Cardi http://www.ravelry.com/patterns/library/creature-comforts-cardi So perfect! This yarn is so beautiful! The red is definitely my favorite, but the dark blue (Stovepipe) is beautiful, too. I have never knit with this but it looks delicious! Madelinetosh is a sock yarn I have not yet used, and would love to try out. I love the red in that skein! It is a color I have come to like more and more over the years. I have never used any madeline tosh yarn, but I am trying to get my hands on some tosh dk in alabaster. I am having a heck of a time finding it, my lys is trying to get it for me. From what I see, the colors are wonderful and I'm going to read the other posts to see what everyone else thinks of madeline tosh yarn! I learned about Madelinetosh on Ravelry and would love to have some. I've been busy designing and testing and would love to recreate some loveliness in this gorgeous yarn. I've never gotten to see/feel her yarn but would love to and the red is fabulous. The Madelinetosh yarn is absolutely gorgeous. I've not had the opportunity to see it in person but hopefully soon! I have never seen or touched Madelinetosh sock yarn before.. but I should say this skein of yarn looks stunning - the beautiful red contrasted by the black dress! So beautiful. I have never knit with Madelinetosh yarn before but all the pictures i have ever seen of the yarn have made me drool, including the photos in this post! I would so love a chance to try it out! Haven't had to knit with Tosh yet but have touched it and drooled over it! I haven't worked with madeleinetosh, but they look gorgeous! I'm never knit with mad. yarn, but the one you have there is beautiful. 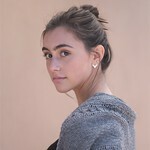 I have not had the opportunity to knit with Madelinetosh but there is a lace tank top that I would love to knit with it! I'm already picturing in this beautiful red color! Thanks for the opportunity to participate in the giveaway, I absolutely love your blog! Beautiful yarn! I just came across it and I've never knit it but I'm itching to try. The colors are so rich. I probably have little chance of actually winning this but it's worth a try and if not. Well I'll definitely still try them. I actually came across this on ravely. My user name is "lagrotto"
I'm so excited to have found your blog! Although I've been knitting for a long time, I've never knit with Madelinetosh yarn. The color in the photo is so rich and warm, it would make a beautiful pair of socks! I'll be checking your blog from now on! Happy Knitting! Madelinetosh looks delicious--like a color I'd love to wear on my toenails, so why not make socks our of it! My German friend on the other side of the Atlantic told me about this yumminess! I would love to have an opportunity to knit with it! What a gorgeous color!!!! I've never tried the Madelintosh yarn, but it looks SO nice!! That color is beautiful, and I can just imagine how pretty the socks would be with it.. It looks so soft! I've never knit with Madelintosh but I'd love to give them a test run! wow! gorgeous looking yarn (and friend)i have never even heard of this yarn but it looks heavenly! and what a better way to try it then to win it for free!!!! I haven't had a chance to knit with Madelinetosh yarn yet but I am blown away by the rich colors- I love the skein your friend is holding. I love all Madelinetosh, and trying to pick my favorite colorway would be akin to trying to say which of your children is your favorite. i will say that I'm partial to greens and oranges, however, though I've never turned away a good red. I love the images that you took - your friend glows! I have had the privilege and pleasure of knitting two lace shawls with Madelintosh lace yarn. My favorite color when I purchased it was Baltic, but I was amazed at how beautifully the Thunderstorm worked up. The hardest part was deciding which color(s) to purchase. The yarn is "luxury" in every sense of the word. I have never heard of this yarn before, but I love the color. I would love to try out this yarn. I haven't knit with Madelinetosh Yarns yet but that color is gorgeous!